Today find out how Aline’s story will inspire you to jump two IELTS Writing band points! You’ll hear the story of how she won the 3 Keys Writing Wizard contest. Aline is working on her PhD so she is incredibly busy. 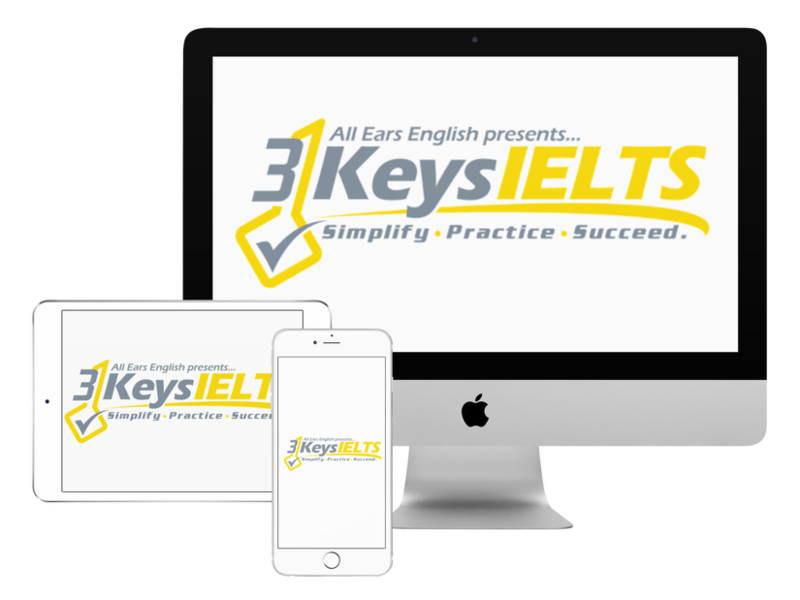 She is using our study plan with the 3 Keys IELTS course. This has helped her get much more organized. Before she entered our course she was not focused and she was using different textbooks. She was headed in the wrong direction. She says that the study plan has not only motivated her and organized her plan but it has improved her overall English. Aline was our first winner in our 3 Keys Writing Wizard Contest. We were excited that she won because she has been enrolling in the Power Hour classes every month which is another opportunity to get feedback on Writing and Speaking for members of our course. If we look at the first essay we ever saw from Aline and we compare it with her Writing Wizard essay we can see that she has improved by two whole band points. In the Power Hours she got specific advice on how to get better at her writing and to correct her mistakes. Aline also worked hard by using the strategies and doing plenty of practice exercises and practice tests. What other habits have helped Aline? She reads the newspaper in English every single day. She is improving her vocabulary and grammar by doing this. She is also becoming a better writing by reading the paper daily. She is also getting great ideas for the Writing and Speaking test. Aline said that she feels confident now about any question she might get because she has opinions and can provide examples from the real world. She has built a culture of thinking for herself. What else has she been doing? She used the templates that she got in the course and memorized them. These templates include linking words that will give you the score you need. Next she applied the template through practice essays. We are confident that Aline will get her 7 or higher, especially in her Writing. Good luck Aline and congratulations on your hard work!